All 9 Seasons! All 222 Episodes! All The Conner Clan Comedy In 1 Hilarious Collection! I’m a huge fan of the show. I’m glad they finally made a series box set so I don’t have to spend so much money buying all seasons by themselves. Since season 9 is included in the set, I don’t have to pay separately for a bad season. Packaging is cheap, of course. 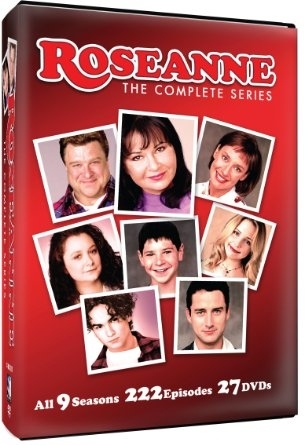 People can’t expect to buy this 9 season series for under $45 and still get high quality packaging. You get what you pay for. The disc and episode quality is good, which is all that matters.